Fancy throwing snowballs in summer or going barefoot and T-shirt-clad during a ‘snowfall’ in July? This weekend in St. Petersburg, Russia would have been perfect after a heavy hailstorm hit the city. On Saturday, streets in St. Petersburg were covered with piles of snow and the roads resembled winter rivers. City residents took to social media to share the unusual summer scenery. 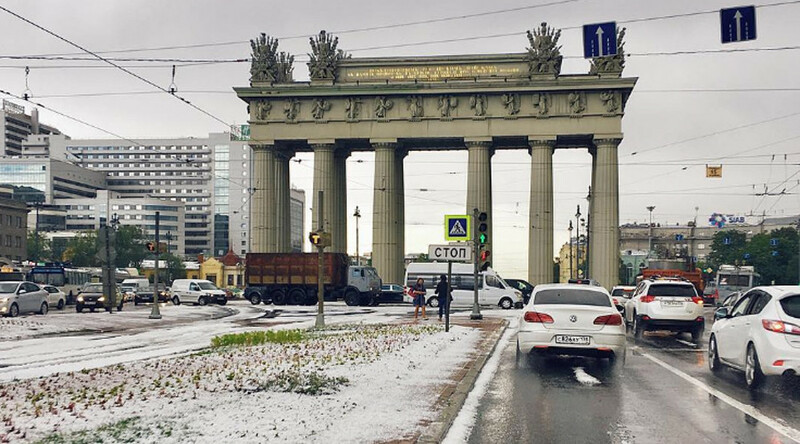 Just last month, Moscow also fell victim to the whims of nature when snow fell upon the Russian capital just as summer was beginning. The miserable luck with the weather didn’t end there as heavy rain hit the city over and over again, while temperatures remain below normal for this time of year.